Human Epidermal Keratinocytes (HEK) provide an excellent model to study epithelial function and disease, skin biology, toxicology and HPV infection. 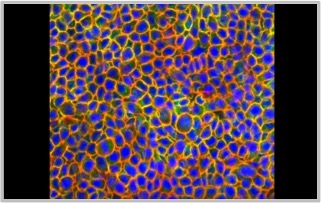 When grown on inserts and provided a liquid/air interface, they differentiate into a stratified squamous epithelium, forming a physiological 3D tissue. 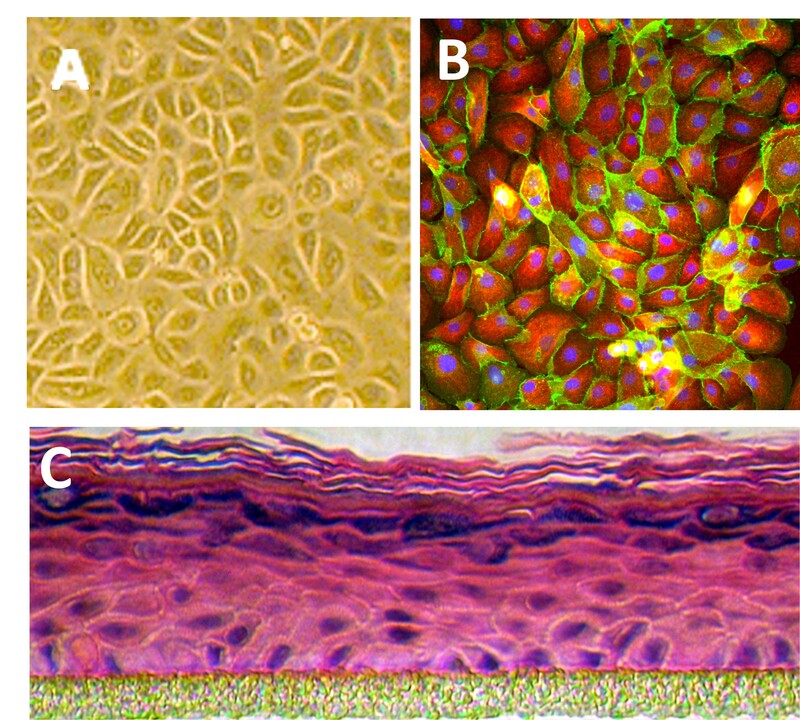 HEK comprise 90 % of all cells in the epidermis, the outermost skin layer. They produce a barrier, the intermediate filament keratin. Keratinocytes obtain melanin from melanocytes (HEM) and store it as protection from UV radiation. We highly recommend optimized Human EpiVita Media to enhance the performance and in vitro lifespan of HEK. HEK from Cell Applications, Inc. have been utilized in numerous research publications, for example in basic research to investigate mechanisms of cell senescence and develop ways to extend cell life span. 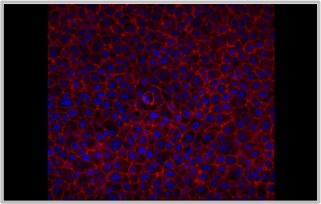 Others have used HEK to design a method to isolate proteins for use in basic researh, and show higher relevance of primary keratinocytes when compared to key differences exhibited by immortalized keratinocyte cell lines. Pharmaceutical companies employ HEK to provide in vitro human skin models that assess effects of cosmetic formulations or anti-inflammatory properties of proposed anti-psoriasis drugs. Translational research on keratinocytes benefits from their ability to model the wound healing response, or help develop serum tests for patients with blistering diseases. HEK are also utilized to understand aggressiveness of cancer phenotypes, investigate compounds for potential topical melanoma treatments, and even develop siRNA therapy targeting oncogenes. In addition, HEK help unravel the oncogenic potential of HPV and test approaches for treating HPV lesions. (Click to Enlarge) Human Epidermal Keratinocytes (HEK) monolayer (A). HEK immunolabeled for cytokeratin 18 (red) and e-cadherin (green) (B), and nuclei visualized with DAPI (blue) (B). HEK 3-D Skin Model (C). Tanihara, M., K. Takaichi, M. Maeda, T. Mitsui, K. Yamamoto and A. Hirano. 2016. Retinol-modified collagen, method for producing same, and external composition for skin containing same. Patent US 9238688 B2. Jie, L., R.Huang, W. Sun, S. Wei, Y. Chu, Q. Huang, and H. Du. 2015. Role of cysteine‑rich angiogenic inducer 61 in fibroblast‑like synovial cell proliferation and invasion in rheumatoid arthritis. Molecular Medicine Reports, 11:917-923. Hsiao, Y., W. Lai, S. Wu, C. Tsai, S. Tang, J. Chung, and J. Yang. 2015. Triggering Apoptotic Death of Human Epidermal Keratinocytes by Malic Acid: Involvement of Endoplasmic Reticulum Stress- and Mitochondria-Dependent Signaling Pathways. Toxins, 7:81-96. Togtema, M., R. Jackson, C. Richard, S. Niccoli and I. Zehbe. 2015. The human papillomavirus 16 European-T350G E6 variant can immortalize but not transform keratinocytes in the absence of E7. Virology, 485:274-282. Hirako, Y., Y. Yonemoto, T. Yamauchi, Y. Nishizawa, Y. Kawamoto, and K. Owaribe. 2014. Isolation of a hemidesmosome-rich fraction from a human squamous cell carcinoma cell line. Experimental cell research. 324:172-82. Inoue, Y. S. Hasegawa, S. Ban, T. Yamada, Y. Date, H. Mizutani, S. Nakata, M. Tanaka, and N. Hirashima. 2014. ZIP2 Protein, a Zinc Transporter, Is Associated with Keratinocyte Differentiation. JBC, 289:21451-21462. Kumar, G., H. Man, R. Chen, G. Muller, and A. Frank. 2014. Phenethylsulfone isoindoline derivatives and their use. Patent US 8853175 B2. Ohsumi, K., M. Watanabe, and A. Fujie. 2014. AS2077715 is a selective inhibitor of fungal mitochondrial cytochrome bc1 complex. The Journal of Antibiotics, 713–716. Schafer, P. A. Frank, H. Man, and S. Shankar. 2014. (Methylsulfonyl) ethyl benzene isoindoline derivatives and their pharmaceutical uses. Patent US 8716252 B2. DiNatale, B.C., K. Smith, K. John, G. Krishnegowda, S.G. Amin, and G.H. Perdew. 2012. Ah receptor antagonism represses head and neck tumor cell aggressive phenotype. Molecular Cancer Research. 10:1369-1379. Egawa, N., T. Nakahara, S.-i. Ohno, M. Narisawa-Saito, T. Yugawa, M. Fujita, K. Yamato, Y. Natori, and T. Kiyono. 2012. The E1 protein of human papillomavirus type 16 is dispensable for maintenance replication of the viral genome. Journal of virology. 86:3276-3283. Garbe, J. 2012. Vulnerability of Normal Human Mammary Epithelial Cells to Oncogenic Transformation. Award Number: W81XWH-07-1-0643. Niccoli, S. 2012. The carcinogenic properties of naturally occurring human papillomavirus 16 E6 oncogene variants. Lakehead University, PhD dissertation. Niccoli, S., S. Abraham, C. Richard, and I. Zehbe. 2012. The Asian-American E6 variant protein of human papillomavirus 16 alone is sufficient to promote immortalization, transformation, and migration of primary human foreskin keratinocytes. Journal of virology. 86:12384-12396. Akaza, N., H. Akamatsu, M. Kishi, H. Mizutani, S. Nakata, and K. Matsunaga. 2011. Normal human epidermal keratinocytes react differently than HaCaT keratinocyte cell line on exposure to Propionibacterium acnes. The Journal of Dermatology. 38:499-502. Tanihara, M., K. Takaichi, M. Maeda, T. Mitsui, K. Yamamoto, and A. Hirano. 2011. Retinol-modified collagen, method for producing same, and external composition for skin containing same. Patent Application US 20130116189 A1. Yamato, K., N. Egawa, S. Endo, K. Ui-Tei, T. Yamada, K. Saigo, I. Hyodo, T. Kiyono, and I. Nakagawa. 2011. Enhanced specificity of HPV16 E6E7 siRNA by RNA–DNA chimera modification. Cancer gene therapy. 18:587-597. Zehbe, I., C. Richard, K.F. Lee, M. Campbell, L. Hampson, and I.N. Hampson. 2011. Lopinavir shows greater specificity than zinc finger ejecting compounds as a potential treatment for human papillomavirus-related lesions. Antiviral research. 91:161-166. Del Carmen Velazquez Pereda, M., G. De Campos Dieamant, S. Eberlin, R.M. Werka, D. Colombi, M.L. De Souza Queiroz, and L.C. Di Stasi. 2010. Expression of differential genes involved in the maintenance of water balance in human skin by Piptadenia colubrina extract. Journal of Cosmetic Dermatology. 9:35-43. Flynn, R., J.M. Buckler, C. Tang, F. Kim, and D.A. Dichek. 2010. Helper-dependent Adenoviral Vectors are Superior In Vitro to First-generation Vectors for Endothelial Cell-targeted Gene Therapy. Molecular therapy : the journal of the American Society of Gene Therapy. 18:2121-2129. Richard, C., C. Lanner, S. Naryzhny, L. Sherman, H. Lee, P. Lambert, and I. Zehbe. 2010. The immortalizing and transforming ability of two common human papillomavirus 16 E6 variants with different prevalences in cervical cancer. Oncogene. 29:3435-3445. Schafer, P., A. Parton, A. Gandhi, L. Capone, M. Adams, L. Wu, J. Bartlett, M. Loveland, A. Gilhar, and Y.F. Cheung. 2010. Apremilast, a cAMP phosphodiesterase‐4 inhibitor, demonstrates anti‐inflammatory activity in vitro and in a model of psoriasis. British journal of pharmacology. 159:842-855. Thuangtong, R., J.J. Bentow, K. Knopp, N.A. Mahmood, N.E. David, and M.S. Kolodney. 2010. Tissue‐Selective Effects of Injected Deoxycholate. Dermatologic Surgery. 36:899-908. Eberlin, S., M. Del Carmen Velazquez Pereda, G. De Campos Dieamant, C. Nogueira, R.M. Werka, and M.L. De Souza Queiroz. 2009. Effects of a Brazilian herbal compound as a cosmetic eyecare for periorbital hyperchromia (“dark circles”). Journal of Cosmetic Dermatology. 8:127-135. Zhang, L.-S., W.M. Petroll, H.J. Greyner, and M.E. Mummert. 2009. Development of a hyaluronan bioconjugate for the topical treatment of melanoma. Journal of dermatological science. 55:56. Dieamant, G.d.C., M.D.C. Velazquez Pereda, S. Eberlin, C. Nogueira, R.M. Werka, and M.L.d.S. Queiroz. 2008. Neuroimmunomodulatory compound for sensitive skin care: in vitro and clinical assessment. Journal of Cosmetic Dermatology. 7:112-119. Shafikhani, S.H., K. Mostov, and J. Engel. 2008. Focal adhesion components are essential for mammalian cell cytokinesis. Cell cycle. 7:2868-2876. Narisawa-Saito, M., K. Handa, T. Ygawa, S. Ohno, M. Fujita, and T. Kiyono. 2007. HPV16 E6-mediated stabilization of ErbB2 in neoplastic transformation of human cervical keratinocytes. Oncogene, 26;2988-2996. Perrais, M., X. Chen, M. Perez-Moreno, and B.M. Gumbiner. 2007. E-Cadherin Homophilic Ligation Inhibits Cell Growth and Epidermal Growth Factor Receptor Signaling Independently of Other Cell Interactions. Molecular biology of the cell. 18:2013-2025. Tao, H., A.J. Berno, D.R. Cox, and K.A. Frazer. 2007. In Vitro Human Keratinocyte Migration Rates Are Associated with SNPs in the KRT1 Interval. PloS one. 2:e697. Yugawa, T., K. Handa, M. Narisawa-Saito, S.-i. Ohno, M. Fujita, and T. Kiyono. 2007. 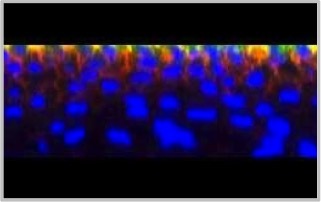 Regulation of Notch1 Gene Expression by p53 in Epithelial Cells. Molecular and cellular biology. 27:3732-3742. Shafikhani, S.H., and J. Engel. 2006. Pseudomonas aeruginosa type III-secreted toxin ExoT inhibits host-cell division by targeting cytokinesis at multiple steps. Proceedings of the National Academy of Sciences. 103:15605-15610. Hatakeyama, S., Y.Z. Ma, N. Miura, S. Abe, T. Kameda, K. Sakamoto, and T. Sugiyama. 2003. Production of monoclonal antibodies recognizing human hair follicle keratinocytes. Hybridoma and hybridomics. 22:127-130. Kameda, T. 2003. MAb-sDP. Hybridoma and Hybridomics. 22:191-191. Kameda, T., 2003. MAb-8G2. Hybridoma and Hybridomics. 22:192-192. Tsuji, H., K. Okamoto, Y. Matsuzaka, H. Iizuka, G. Tamiya, and H. Inoko. 2003. SLURP-2, a novel member of the human Ly-6 superfamily that is up-regulated in psoriasis vulgaris. Genomics. 81:26-33. Huh, W.-K., T. Oono, Y. Shirafuji, H. Akiyama, J. Arata, M. Sakaguchi, N.-h. Huh, and K. Iwatsuki. 2002. Dynamic alteration of human β-defensin 2 localization from cytoplasm to intercellular space in psoriatic skin. Journal of molecular medicine. 80:678-684. Kameda, T., S. Hatakeyama, K. Terada, and T. Sugiyama. 2001. 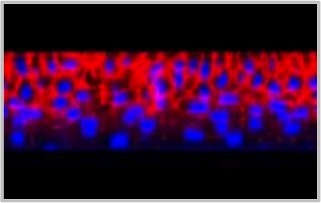 Acceleration of the formation of cultured epithelium using the sonic hedgehog expressing feeder cells. Tissue engineering. 7:545-555.